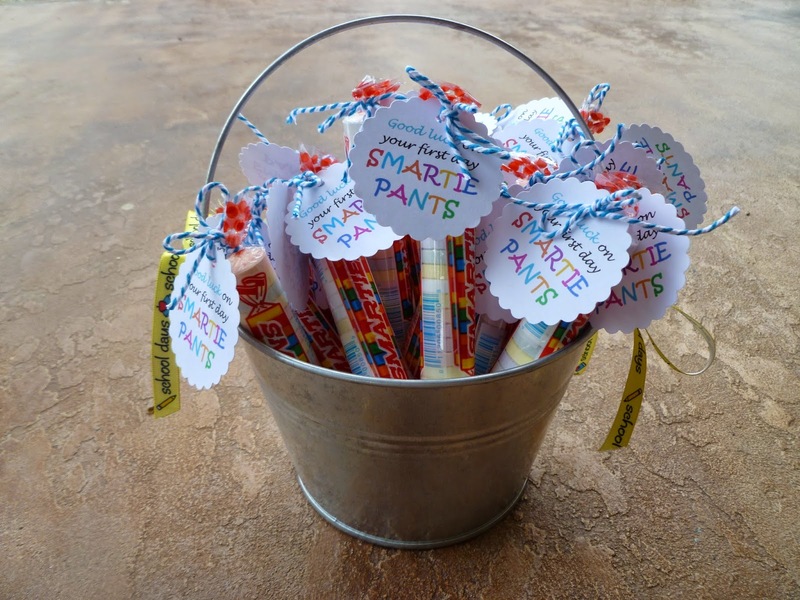 Indulge With Me: Back to School Treat! 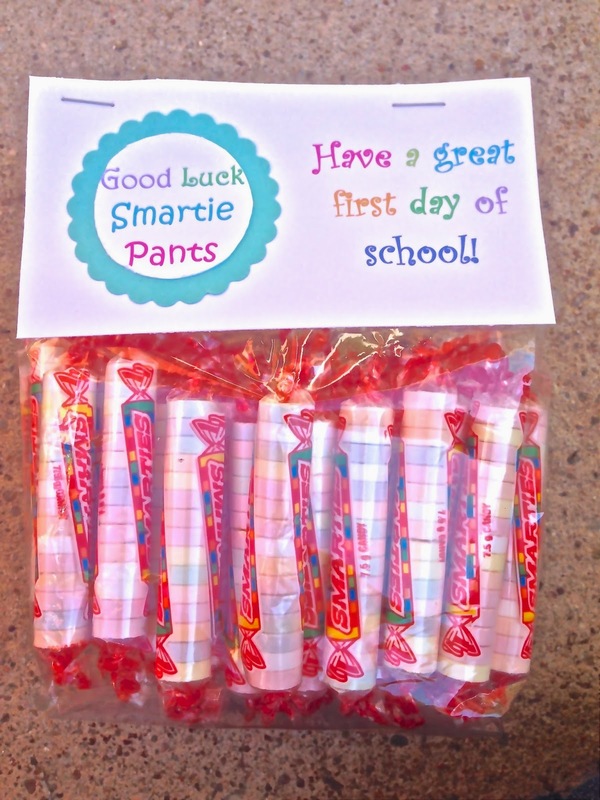 My kids love to do a Back to School treat to share with friends and teachers but this year we had to go simple. I have pretty bad morning sickness and don't want to spend all day in the kitchen so simple is my new best friend. 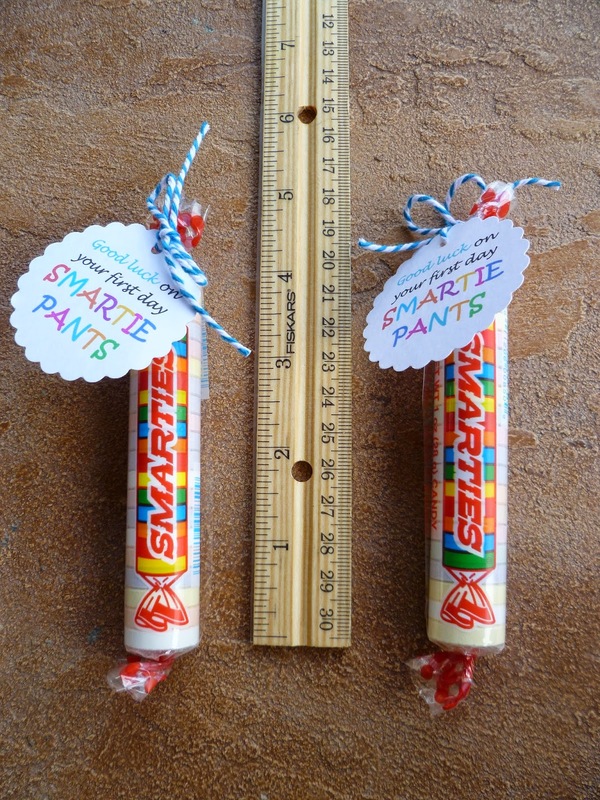 I ordered these giant Smarties on Amazon which my kids thought we're pretty awesome. 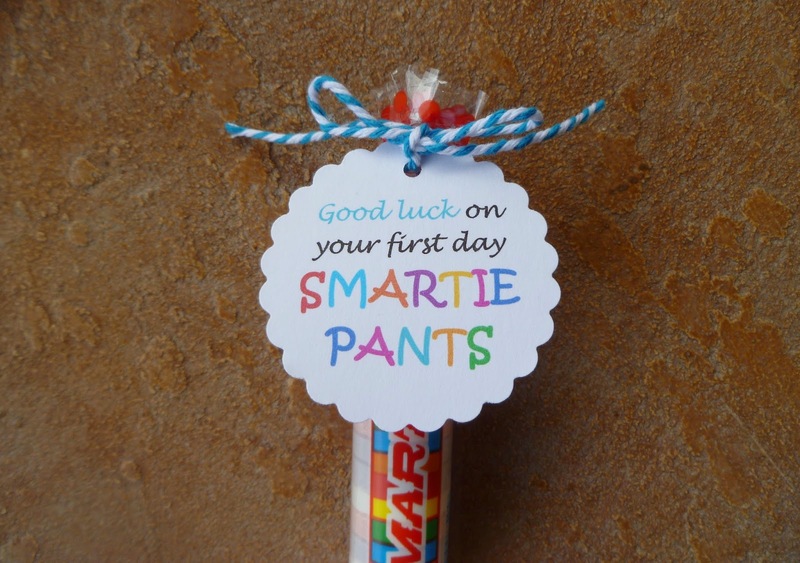 I copied the tag from some I had found online- Good luck on your first day Smartie Pants. I used a 2" scalloped punch to cut them out. This is how big the Smarties were. I wish I had a smaller one to compare it to. 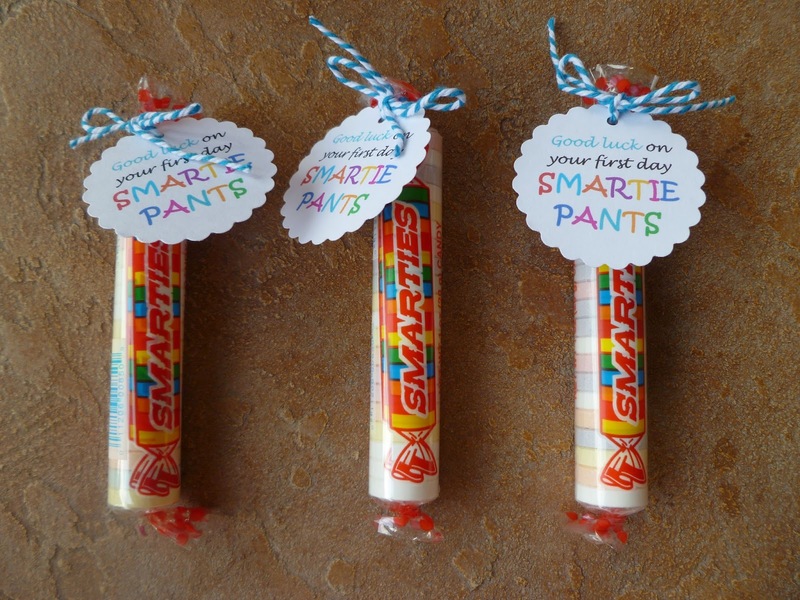 For Lucy's class we just used regular sized Smarties and put them in a cellophane bag with this simple tag. Hopefully you get the idea with this terrible picture!